GET FIT TODAY, THE FUN WAY! PCB facilitates one of the best boxing training environments in Portland, Oregon. We have over 20 heavy bags, a boxing ring, speed bags, boxing gloves & hand wraps. We conduct fitness & specialized classes that will improve your fundamentals of boxing & kickboxing. PCB has more to offer than just boxing for a well-rounded & complete workout for your fitness needs. Barbells & Bumper Plates, Free Weights, Weight Training Gloves, Step Benches, Yoga Mats & Blocks, Locker Room, Private Showers & Towels and Secure Building Card. 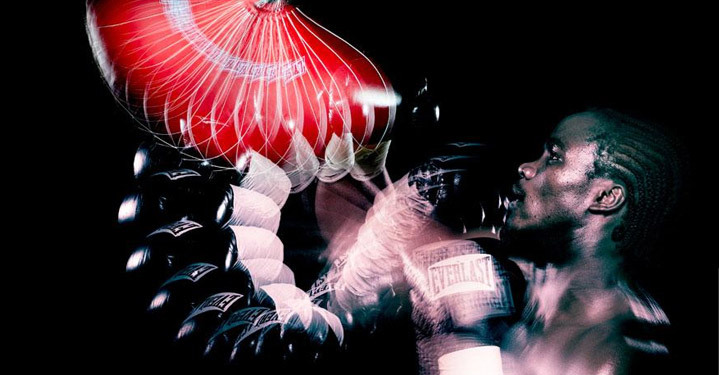 Learn the boxing fundamentals and improve your coordination, stance, striking, and defense. Utilize basic boxing techniques and HIIT (High Intensity Interval Training) for a tough but rewarding workout. Learn kickboxing fundamentals and improve kicking, stance, striking, and defense. Utilize basic kickboxing techniques for a high intensity workout. This dynamic workout improves striking and kicking. Improve your strength and conditioning through a combination of basic weightlifting, Olympic weightlifting, and HIIT (High Intensity Interval Training) cardio exercises. Boxing for kids 8-12 years old. Basic boxing fundamentals and strength & conditioning. Develop your strength, conditioning and anaerobic fitness with fast paced interval circuits. One year pre-pay, three months free. Portland City Boxing facilitates one of the best training environments in Portland, Oregon for boxing and kickboxing. We have over twenty heavy bags, a boxing ring, speed bags and much more! We conduct fun classes that will improve your fundamentals of boxing and kickboxing. Our fitness classes Cycle/Spin & Yoga focus on functionality, balance and metabolism. Every class is scalable for all levels of fitness and ability. We also have stationary bikes and ellipticals, wall lockers and showers, and much more equipment for a dynamic workout. Kudos to Jeff and Ben!!! A friend of my family had been working out with Jeff for a while ( over a year, maybe two ) and I had always been interested in checking out what she was doing but was taking Kung Fu and didn’t have time. One week we were doing some straight boxing in Kung Fu,,, and I found out I couldn’t throw a hook or an upper-cut. That was humbling. I decided it was probably time to get down to basics: boxing, wrestling. I’ve studied Tae Kwon do, Okinawan Karate, Hung Ga Kung Fu, Tai Chi ( Wu, Chen, and Yang forms ), and Wing Chun Kung Fu. So, it was with some trepidation that I finally approached Portland City Boxing. To be quite honest, I was expecting disco/boxing/Zumba because the club is downtown. Well, I hadn’t met Jeff and Ben yet. These guys are serious! I then got to watch my friend, Amy, in action. She’s always been athletic but she’d upped-it quite a few notches. She was brutal at throwing combinations that had impressive power. I could feel her gloves poppin’ across the room. To back up what has already been said in other testimonials, there’s no ego or attitude at Portland City Boxing. Anybody at any level of fitness is given equal attention and encouragement. That’s why my daughter and I have been going, together with our friend Amy, for a few months now. After a workout, we both leave worked-out but feeling strong. I had no idea my daughter was a fighter. I’ve seen upper body results in myself even though I’m an avid surfer. And,,, I almost have an acceptable right hook! It’s all good, clean fun too. How I came to agree to take a ‘boxing lesson’ from Jeff is a long and boring story…and probably more fitting for the ‘Oxygen Channel’ than a testimonial. In short it goes like this…One year ago my life, or life as I knew it at that time, could not have been worse, and to make myself ‘feel’ better I was spending a fortune in therapy, gyms and cross-fit classes. The result, more tears, an empty wallet and sheer workout boredom. Randomly, my uncle had heard about Jeff and wanted to give a boxing lesson a try. So (on a Saturday at 8am…nooooo thank you) we scheduled a session with Jeff…and there you have it! Within the span of an hour things started to change. I knew this was how I was going to redirect my energy and find my self-worth. I’ve always worked out, always been athletic and for the most part ‘fit’. However for many years I remained the same…not any stronger, more confident, faster, or more aware… not mentally, emotionally or physically. After working with Jeff and Ben that has all changed. Jeff and Ben push you to your absolute limit, and then a little further. Yet, the feeling of absolute physical exertion is never painful rather it’s exhilarating. As you can barely stand or breathe you couldn’t feel more proud, strong or in control. Today, my absolute fondest times are when my uncle, brother and I spend a morning training with Jeff and Ben. At 43 I am in the best shape I have ever been in. I feel in control of my body, my decisions and my life. Let me tell you… Jeff’s kind heart, dedication and patience paired with Ben’s spirit and a smile that lights up a room has saved me a fortune in therapy, gym memberships, and fad workout programs. I am forever grateful. This hidden gem of a gym is the perfect place to work through all of the ‘feels’. Located in a light filled basement with friendly and knowledgeable staff I was immediately greeted by the sales director/boxing trainer Julianne who made me feel comfortable right away. Julianne walked me through the gym explaining all the components and classes I didn’t expect a boxing gym would have (hello yoga and spin classes), she showed me the showers, indoor spaces for your bike and then despite my resistance got me wrapped (hand wrapped) for my first ever group boxing class. She walked me through some first steps and sent me on my way. The class was fun and challenging but I never once felt out of place despite the fact THIS WAS MY FIRST TIME EVER! I have so much to learn and I am not the most coordinated gal but Julianne’s confident way made me feel empowered. I also noticed this gym is super inclusive each of my visits thus far I have seen a variety of humans of all ages, shapes, sizes etc. for someone new to an activity it’s nice to see others outside of the gym body norm being met where they are at and thriving! Basically- this is an awesome spot to get some frustration out, and for me to learn a new ‘thing’ in a safe environment. Check this spot out! I have trained and checked out several boxing/combat sport gyms over the years and Portland City Boxing has been my favorite out of them all. I’ve been more consistent here than anywhere else. The gym offers a good variety of classes, ranging from conditioning to the more technical side of boxing. There’s even an amateur boxing team for those who are looking to compete or get some rounds in sparring. I’ve done a lot of work with Johnny who has taught me a ton and always helpful when it comes to advice and tips. I haven’t met anyone with any ego and most people in the gym are super helpful and friendly. All the coaches are also super helpful and knowledgeable and each of their classes focus on different things which is nice for variety. The gym is super reasonable in comparison to other specialty gyms and the best part is you dont have to get locked into a contract if you don’t want. I highly recommend anyone to check out this boxing gym. Portland city boxing is an amazing place that has transformed my fitness level tremendously. I’m writing as a woman who has been consistently working out at Portland city boxing for about 2 years. The staff are friendly and fun and welcoming, the rates are more than reasonable, especially if you’re interested in private training. I always feel like I am taken seriously and included. The facility is reasonably clean. There are opportunities for sparring and with a coach, opportunities for actual bouts. I look forward to my workouts because I love being there!